We take credit/debit cards in person or over the phone. Did you know that Mississippi law allows you to prepay a traffic ticket prior to the court date? The back of your ticket has more information about doing so. Should you prepay, there is no need to report to the court. This is allowable only for tickets given at the scene without a formal arrest. Some traffic violations require a formal arrest and booking and attendance at arraignment is mandatory. Protective orders are now available through Municipal Court. If you are a victim of domestic violence, you can contact the court for more information. These protective orders are only good for a short time but you can get one that lasts longer through Chancery Court or County Court. For more information about domestic violence please visit the AG’s website at http://www.ago.state.ms.us/. 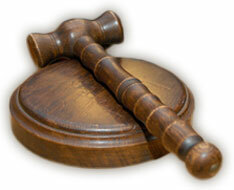 Municipal Court only has jurisdiction over matters that occur within the city limits. If you know that an incident occurred in the county, you will need to speak to the Sheriff’s Department or Justice Court at (601) 403-2500 or (601) 749-7700. Our office may close early on court dates at 3:00 pm. Call to confirm.